& Western, on the south, with the Utica branch of the Delaware, Lackawanna & Western to the north. During its early stages several routes were proposed for the Unadilla Valley line and numerous meetings were held in various communities. Railroads had the habit of applying their own names to certain locations and communities along their lines. 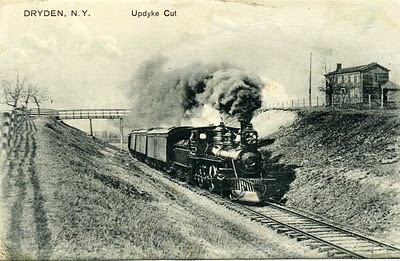 Here a Lehigh Valley train rushes along through "Updyke Cut" between Freeville and Dryden, about 1898. In the 1870s the D.L.& W. renamed LaFayette, south of Syracuse, "Onativia," which the last name of one of the members of the Board of Directors. 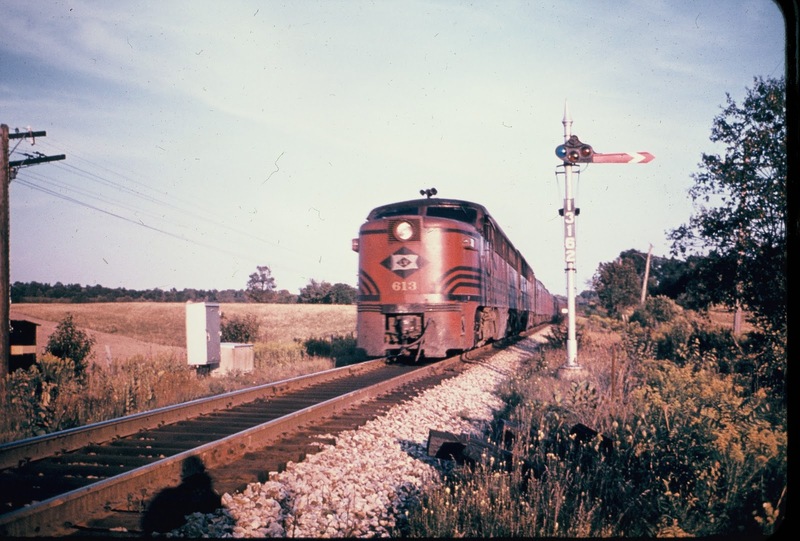 Railroads would also rename a place if the same name existed elsewhere on the railroad. initial trip over the road. 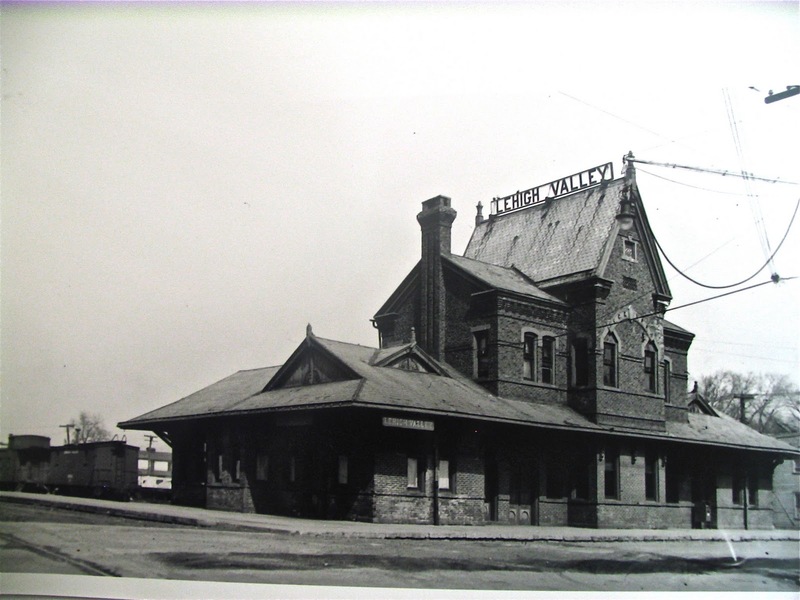 At the same time, a similar train started from Buffalo station eastward on its maiden trip. Both trains were heavily laden with passengers. 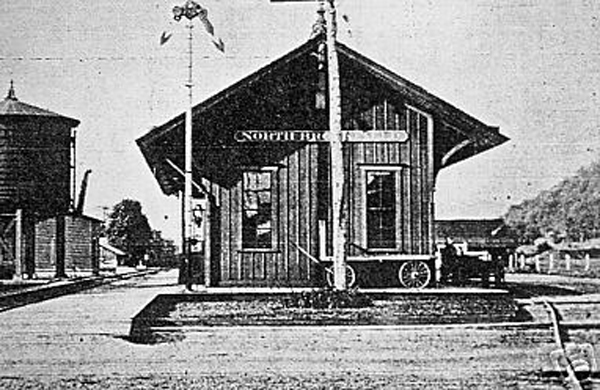 This ornate depot was originally built by the Elmira, Cortland & Northern Railroad which ran from Elmira to Camden, via Cortland and Canastota, to Camden. 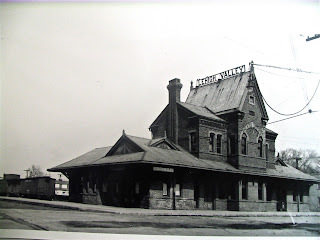 This station, at the north-west corner of East Fifth and Baldwin Streets in Elmira, was built in 1886. View is looking northeast. 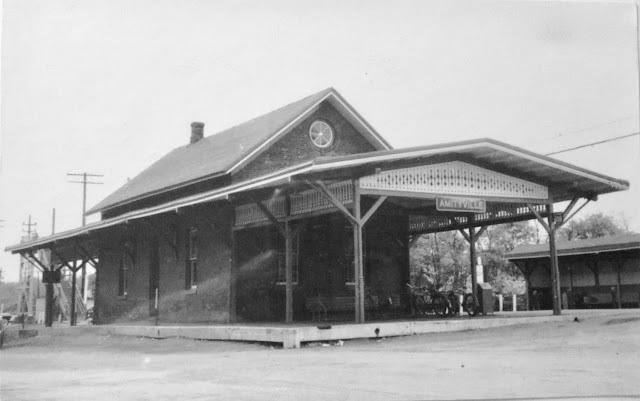 Most of the structure was torn down about 1938 when service was terminated east of Horseheads. Obtained from the Monogahela Railway in 1974, the two Baldwin RF-16 "Sharks" were part of a preservation project under the guidance of Carl B. Sterzing Jr., Chief Executive of the Delaware and Hudson. This view shows them on the run between Binghamton and Sayre. 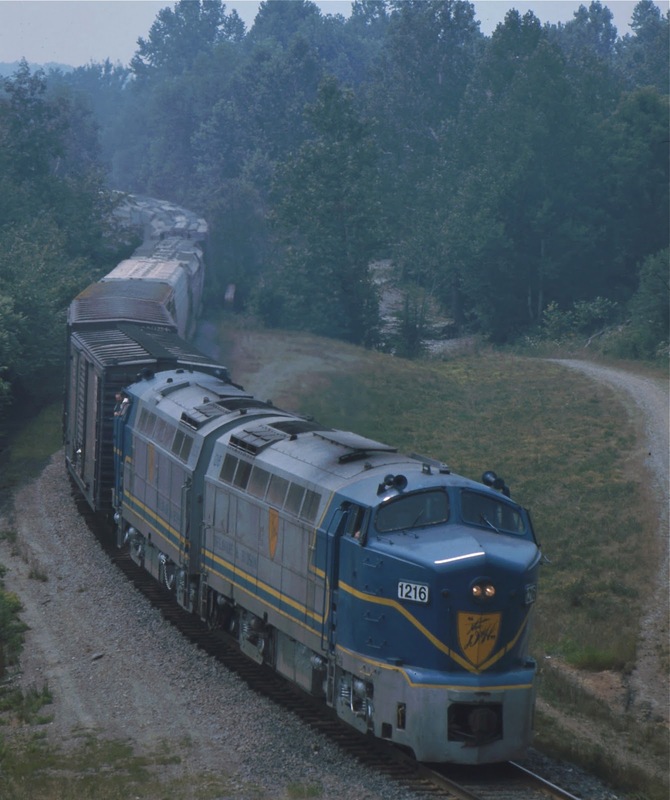 Along with normal freight duty, they participated in public relations ventures and railfan trips until the end of Mr. Sterzing's tenure. They were later sold to Castolite Inc. of Minneapolis, Minnesota inn April 1978. There was only a handful - mostly old-timers and children with their mothers - at the requiem for a regal railroad train yesterday when the Lehigh Valley's Black Diamond Express played its swan song after a few days less than 63 years as one of the nation's great institutions. 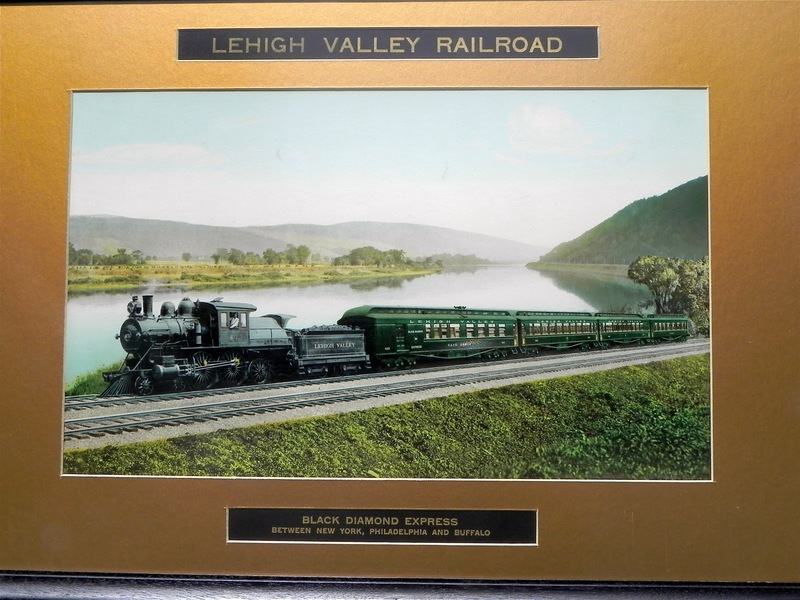 The first Black Diamond made its run on May 18, 1906 regal splendor hailed as "The Handsomest Train in the World." Yesterday it died in very different circumstances - practically broke.